Sinn Féin has gained three points while Fianna Fáil has lost three points in the latest Behaviour and Attitudes Opinion Poll for the Sunday Times. The poll shows Fine Gael is the most popular party in the country on 30%, down one point since the last survey. Fianna Fáil is down three points to 26%, while Sinn Féin is up three to 20%. Labour is down one to 4%. The Green Party is on 2%, down one point. Both Solidarity-People Before Profit and the Independent Alliance are unchanged on 2%. The Social Democrats are down one point to 1%, and independents and other parties are up three points to 13%. The poll shows that satisfaction with the government is on 34%, down seven points. Micheál Martin remains the most popular leader in the country on 42%, a drop of eight points since the last poll. Mary Lou McDonald is down four to 40%. Leo Varadkar has seen his satisfaction rating drop 10 points to 38%, while Labour leader Brendan Howlin is also on 38%, down one point. 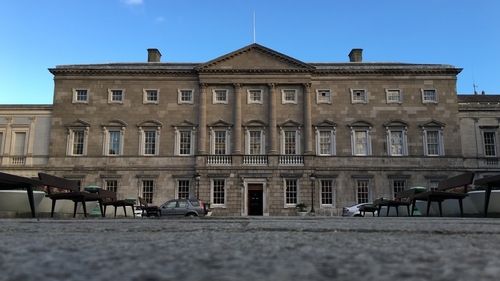 The Behaviour and Attitudes poll was conducted via a series of face-to-face in-home interviews from January 4-15 with 907 eligible Irish voters. The margin of error is 3.3% and the findings compare with last month's B&A poll, which sampled December 6-18.